Can Welsh Lions end Australia hoodoo? LET’S LOOK at the Lions numbers: 15 Wales players, three Wales coaches, two Wales analysts and one Wales conditioner. And Wales’ recent record against Australia? Eight straight losses. Aside from a narrow 21-18 win in Warren Gatland’s first year in charge, Wales have consistently struggled against the Wallabies. So can the Welsh-dominated 2013 Lions break that trend? Firstly, it’s important to consider the manner of those defeats. Take the four Tests last year, lost by an average of just over three points and with Wales leading going into the last ten minutes in three of them. They haven’t been blown away by Robbie Deans’s team, but they haven’t closed them out either. 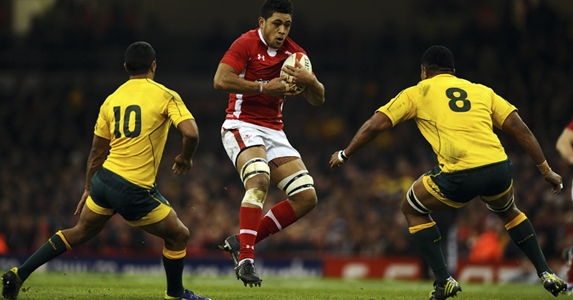 In Cardiff in the autumn, Wales dominated the game but paid the ultimate price for not crossing the whitewash, Kurtley Beale’s late try condemning them to the third tier ahead of the 2015 World Cup draw. Australians find ways to win, so the Lions need to be more clinical in attack than the other team in red have been recently. They should dominate the scrum and need to use that authority to build attacks and put points on the board, be that through penalties or tries. Wales have tried to use brawn to overcome Australia, their big backs running hard and direct, but that ploy has yet to result in victories so the Lions will need guile too. The Wallabies have some of the most dangerous attackers in world rugby and while the Lions can’t match that flair, they can be smart about how they play. This is where the experience of players like Brian O’Driscoll could come to the fore, while Johnny Sexton – the most likely Test fly-half – has the ability to play for territory or attack the gain-line. The key is to close down space. Will Genia ran rings around Mike Phillips in last summer’s first Test; to prevent a repeat the Lions need to target Australia’s talisman, rushing him in defence and forcing him to deviate from his normal patterns, which will put pressure on those around him. 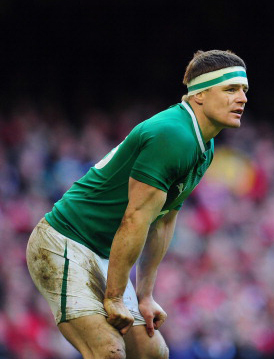 Remember how Ireland wrapped up the scrum-half at the 2011 World Cup? The Lions need to follow that example. If Genia doesn’t have time on the ball, he can’t be as effective in releasing his talented back-line. The Wallabies thrive on space and being able to counter-attack, so the Lions’ kick-chase needs to ensure the back three have neither the time nor the room to run the ball back. The same applies at the breakdown; Sam Warburton has to prevent Michael Hooper from asserting the same control that he had against England in November or Australia will be presented with plenty of turnover ball with which to attack. Cool heads are also important because Australia will be happy to punish any loss of discipline by slotting penalties or making the most of any numerical advantage. Yes, Wales haven’t beaten Australia since 2008, but it’s fair to say they know this Wallaby side better than most. If the players and coaches can learn the lessons of those recent losses – losses that are sure to provide extra motivation – and add another layer to their game plan, which they surely will with the involvement of players from the other home nations, the 16-year wait for a Lions series win could be over.